Attraper Au Vol (Catch in the Air) is the photographic life’s work of one of the most respected skate film makers and photographers in the world, French artist Fred Mortagne, or better known as French Fred. This photographic essay culminates years of Fred’s work (2000-2015), offering a sublime lens on life. A feast of lines and angles, his deliberate compositions blend skaters into their environment; offering an abstract perspective on architecture and geometry. His work intrigues both skaters and non-skaters alike, slowing the blur of modern life just enough to expose what is below the surface. Fred's fluid style evokes the esthetic beauty of skate and the muse of urban culture rather than pure performance, although the raw talent of his subjects is readily apparent. Across settings, subjects and locales, Attraper Au Vol exposes Fred’s signature style in one beautiful hard cover book. Shot both on film and digital 35mm format, this collection of images is a canon for the world of skate, and a body of art all its own. 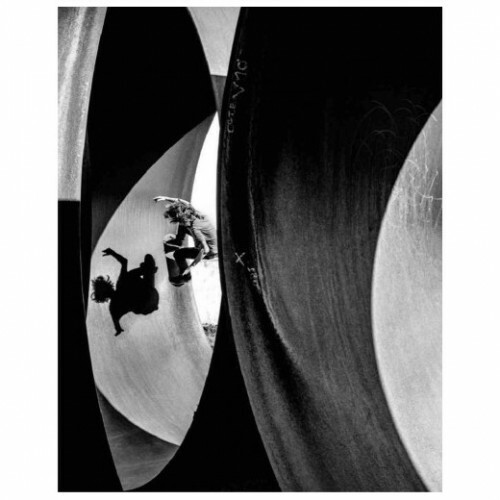 Fred's photographs are framed by a foreword from world renowned photographer Anton Corbijn and an essay by Geoff Rowley, one of the greatest skateboarders of all-time whom Fred works with extensively.